The commission has eight volunteer members. Most have served for several years. There will be one alternate opening on the WPCA board by the end of June 2019. As to outside service, the commission uses engineering, accounting, legal and other support services as needed. The engineering firm has quite a bit of depth, serving several states. Their work includes maintaining and upgrading the sewer layer on the town GIS system. The commission attorney has served the Brookfield WPCA for more than 20 years providing expertise in land use issues. He also has a valuable depth of corporate memory. The accounting firm, Bliss Allred and Company, was engaged last year has served the WPCA for 3 years. The WPCA accounting system routinely has been complimented by Town auditors. The WPCA has tripled in the number of customers and infrastructure over the last the last 7-years has doubled all with four employees and a small office. The WPCA also has all responsibility for its finances, including payroll, increasing the work load for its four employees. In 2016 a half-time field staff position was added. In 2018 a position a new part-time director was filled with the work load for the volunteer board having increased substantially over the past several years with system growth. Additional revenue from growth has covered the cost of added staff and a vehicle. With a part-time Director, the 285 sqft office in the Town Hall was inadequate. Consequently, the commission contracted for the purchase of an operations center apart from the Town Hall. The two-story building will include 2000 sqft of office space, a storage mezzanine and 1000 sqft of field office area. This now allows all employees to be co-located. The office building is financed with a 25-year mortgage and is projected to add 1.5% to the WPCA budget. This expense also will be absorbed by the increase in the number of customers especially in the Town Center District. Several significant capital improvement projects were undertaken. A project at Rollingwood, went through the approval process, was put out to bid and completed in 2018. It takes advantage of recent system expansions to re-route to a full gravity system, eliminating a troublesome pump station. The project came in below budget. The cost is divided among affected unit owners proportioned by their Grand List Value. BAN funds are in use to support the construction. The North Pump Station, at the New Milford town line, and the station behind 777 Federal Road were both running at 50% capacity for normal operations during working hours as seen by the on-line data capture system. With growth planned from several new condo and apartment projects in the Four Corners area, these two stations were upgraded with state-of-the-art controls and pumps of greater capacity. These projects were commissioned 2017 and funded as capital improvements by the Federal Road North District users current and future. Actually, there are no new infrastructure sewer projects on the drawing board for the first time in a decade. However, there are initiatives in place to study the viability of sewering 1950-era homes along the Still River on Dean and Pocono Roads. There are also plans to conduct initial engineering studies to provide sanitary sewer services to homes in the Candlewood Lake area. Both Candlewood Lane and the Still River feed Lake Lillinonah which is suffering distress from upstream nutrient flow. These studies are subject to a 55% Clean Water Fund grant from the CT DEEP. The WPCA Enterprise Fund accounting is fully separated from the Town and on a full accrual accounting basis. Nevertheless, the WPCA is included as a business activity in the Town audit. The WPCA office handles payroll, billing receivables and accounts payable, including sewer bond and loan obligation payments. This arrangement is in place at the request of the Office of the Controller and Auditors in keeping with government Enterprise Fund accounting rules. Unrestricted funds are broken down into Operating and Capital. 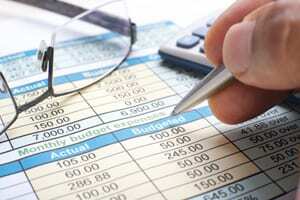 This is a budgeting and reporting method useful to the Commission to monitor finances. The sewer usage fee was set in June 2012 at $380 per unit per year to fully cover increasing depreciation and Danbury treatment fees. (A household is one unit.) The usage fee increased to $420 per unit June 2017. This 10.5% jump amounted to about 2% annually over the previous 5-year span. This rate still allows sustainable operations including the ability to make infrastructure upgrades to accommodate the growth in system use. No rate increase is anticipated this year. At the end of 2017 there were 4004 units producing approximately 300,000 gallons per day (0.3MGD). That is a 7% increase in flow with the addition of Barnbeck and Laurel Hill apartments, Oak Meadow and the last units at Newbury Village and Riverview. New customers are offsetting a loss of revenue from the lost businesses especially in the Four Corners area. All sanitary wastewater flow is sent to the Regional Danbury Waste Treatment plant under the supervision of the CT DEEP and by an InterLocal agreement with Danbury. The agreement allows a flow from Brookfield of up to 0.5 MGD. But this is slated to be reduced to 38 MGD in 2022 with new Phosphorous mitigation requirements imposed on the plant. Brookfield is sending waste at an average rate of 86% of the new allowable flow. The Danbury Plant expansion will cost Brookfield a projected $2,230,000 after grants are applied. These grants are promised, but not guaranteed. However, the Town of Brookfield is immediately responsible for its portion of engineering costs, projected at $350,000 probably due in 2019. The impact of the phosphorus removal at the Danbury plant will be to reduce the phosphorous load to Lake Lillinonah by 7%. This gives all the appearances of building a bridge to nowhere; a social cost with even septic users contributing phosphorous to the environment. For the WPCA to cover Brookfield’s engineering cost share to be billed to the Town of Brookfield, an additional $44 per use unit per year to generate the needed $350,000. These funds are isolated in a separate account. Two rate increases were implemented in FY 2017-18. One a permanent increase for operations of $40 per unit, from $380 to $420 per unit as discussed above. In the current FY, the operation is projected to run at a surplus with the excess funds being used to improve the main pump station and other projects as provided for in the capital budget. A supplemental rate increase of $44 per unit was implemented to cover the anticipated bill to the Town of Brookfield for Danbury Plant engineering fees. This increase is billed as a surcharge to the usage bill for four billing events this year and next. Any excess or shortfall will have to be covered by increases in use fees that accompany a BAN or Bond covering the approximately $2 million additional for the Brookfield portion of the Danbury Plant expansion which is slated to be operational in the year 2022. The $2 million could be $3 million depending on whether the pledged grants currently anticipated are honored. Customer sewer rates are based on a “Unit” charge to fund operations one option provided for by State Statute. Each household is one unit. Commercial establishments all have a formula to determine the usage rate according to WPCA Rules and Regulations. The Commission is aggressively exploring charging by water usage for commercial customers. This strategy may require commercial customers to install a water meter. The entire unit-based billing system is under review by a sub-committee of WPCA Commissioners. At the unit rate of $420 per year per household unit, 75% or $310 covers the annual cost of WPCA operations and only 25% based on usage. In round figures, the Brookfield WPCA has assets of $25 million. The WPCA holds $6 million in bonds and loans against 7 discrete sewer districts. Two are debt-free. This requires a total of $400,000 in debt service, principal and interest, funded by users in each sewer district. Funds to pay each bond note or to make upgrades within each sewer district are kept separate and restricted bank accounts as required by Resolution. User obligations are attached to land records, virtually assuring collection. The operating budget in a simple form can be divided into five categories. See the table above. The Administration category includes outside legal, accounting and audit costs. Have friendly and patient customer relations. Transparency. Brookfield has the most complete website of any WPCA in CT. Integrity. All decisions are open to the public and finances pass intrinsic and extrinsic audits. Excellence in bringing the latest technologies to make the operations cost efficient. For example, tables with a cellular connection allow the field staff to view main and customer connections on-the-spot. This GIS service allows instant recording of observations with pictures giving an electronic record of on-going and required inspections. The WPCA Commission has given focus to its employees and continues to give this area focus—a challenge a volunteer board. A goal is to conduct this enterprise so as to reflect positively on the WPCA and Brookfield.